A 22 years old boy in Italy has bought a Lamborghini Gallardo LP560-4 with a lease. 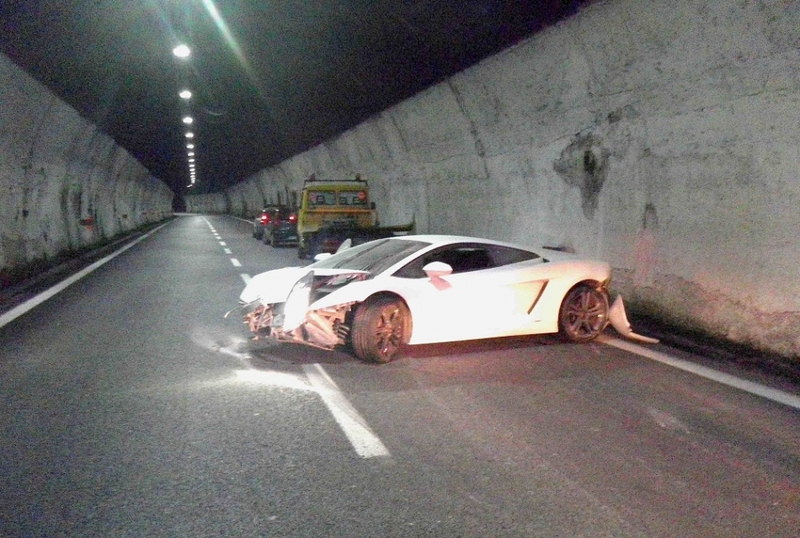 He had some fun with a friend in the italian highway in the direction to Genova Est (ligurian coast), but the high speed ride ended with a crash in a tunnel. Luckily they didn't had any injuries, but then in order to fraud with the insurance, they decided to run away from the crashed Lambo and to call the Police to simulate a theft. They said that 2 men has stolen and crashed the vehicle, but the cameras located on the highway have proven that they were lying. Now the 22 years old boy has probably a huge bill from the workshop and two denunciacions for calumny and for simulation of a crime. It's not ok when this happens.i mean how come he affords a gallardo and after a crash starts to invent a crazy story only to avoid a service bill?is he ok? i mean mentally.